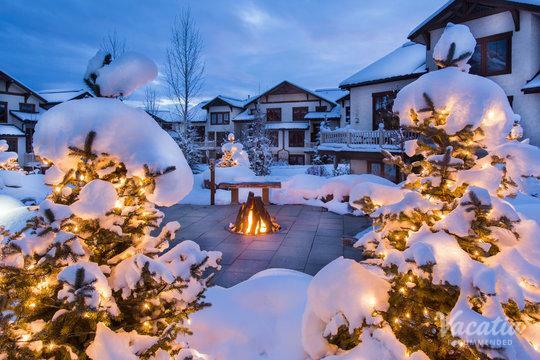 If you've been dreaming of fresh mountain air and beautiful natural surroundings, you should plan a getaway to the charming mountain town of Steamboat Springs. This Colorado mountain destination is best known as a popular ski spot, but Steamboat also has plenty to excite and entertain visitors year-round. Home to great skiing, hiking, biking, fishing, and golfing, Steamboat Springs is a destination every outdoors enthusiast is sure to love. Whether you're traveling with your family or your significant other, you're sure to enjoy every moment of your getaway when you book your vacation rental through Vacatia. When you rely on Vacatia to book your vacation rental, you can rest assured that you will find your ideal home away from home in the beautiful town of Steamboat Springs. 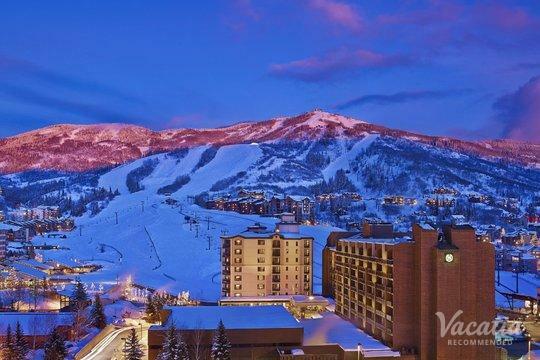 There are a number of four-star resorts in Steamboat Springs to choose from, and Vacatia can help you narrow down this selection until you find the perfect rental property for your stay. Situated among the majestic Rocky Mountains, Steamboat Springs is one of the most popular mountain destinations in Colorado. Not only is it a haven for winter sports lovers, but it's also a fantastic destination during the warmer summer months. Whenever you decide to plan your mountain retreat, you should work with Vacatia to book your accommodations. 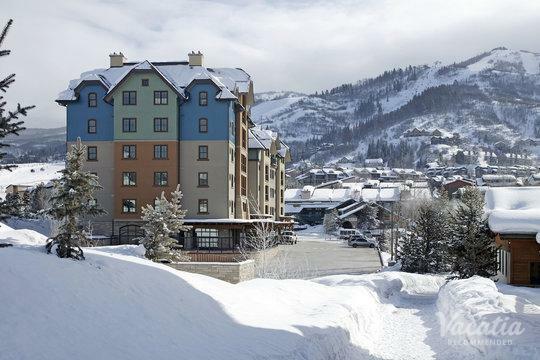 Vacatia blends the comfort of home with the luxury of a resort to provide travelers with high-quality resort residences, so you're sure to feel right at home in Steamboat Springs. When you stay at a Vacatia rental property, you will be able to enjoy your own fully equipped kitchen as well as the desirable services and amenities of a resort, which means you'll be able to whip up breakfast before hitting the slopes and indulge in room service when you return home. 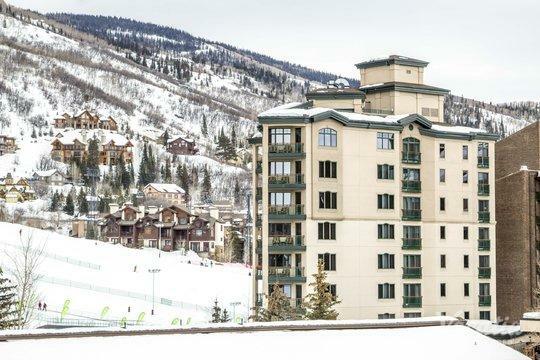 So if you want to stay at one of the best Steamboat Springs four-star resorts possible, you should rely on Vacatia to book your accommodations. Once you have your vacation rental booked, you can start daydreaming about the gorgeous mountain vistas of Steamboat Springs. Steamboat Springs is a town in the mountains of Colorado that has earned the nickname "Ski Town U.S.A," since it is home to countless Winter Olympic athletes. Known for its enviable skiing, Steamboat is one of the most popular winter destinations in North America, but it also attracts plenty of visitors during the summer months. Located about three to four hours away from Denver, Steamboat Springs is a must-visit destination for avid skiers and outdoor enthusiasts. This Colorado mountain town is an ideal destination for families looking for adventure and excitement as well as couples looking for serenity and romance. 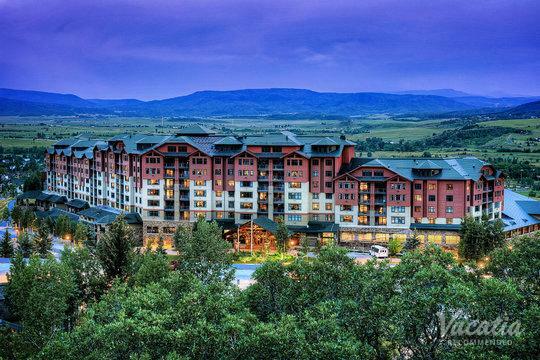 So no matter what you have planned for your time in Steamboat Springs, you should work with Vacatia to book your stay at one of the best resorts in the area. 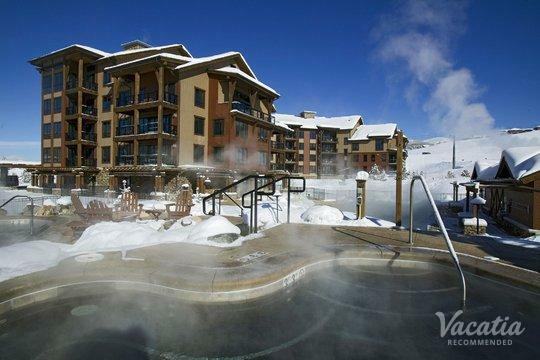 Vacatia will ensure that you have the perfect home base for all of your Steamboat Springs adventures.